The anaerobic digestion of sludge using the Upflow Anaerobic Sludge Blanket (UASB) Process has been used for water treatment for many years. In water treatment many plants have been built and operated purely for water treatment purposes. Nowadays, the technology is being increasingly used for the benefits of the methane it produces. If you were looking for sludge treatment by anaerobic digestion follow the link below this panel. 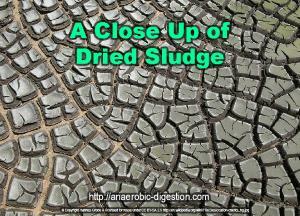 For sludge treatment by anaerobic digestion follow this link. Strictly liquid phase Upflow Anaerobic Sludge Blanket (UASB) Process installations which treat largely soluble COD (Chemical Oxygen Demand) must inevitably comprise some of the most proven Anaerobic Digestion systems available today. This is simply because they have been used for a long while, before the methane generation benefits of the process became important as an energy source, and the negative effects of methane escaping as a greenhouse gas were appreciated. Utility companies In the water industry are currently (2017) moving all their treatment to use anaerobic digestion for their vast quantities of sewage sludge, instead of incineration. However, the water companies can choose their sludge treatment technology from at least 6 competing technologies. In the section below we discuss the 6 available by looking at the hierarchy of these technologies, to show how they shape up compared with the anaerobic digestion of sludge. Watch our video below which explains the top 6 sewage sludge treatment technologies, and where anaerobic digestion of sludge comes in the hierarchy, based upon net energy output after all sacrifical loads imposed by operating the process, are taken into account. After watching the video we recommend that you scroll down for more information. The original article at WWT Online which the list of the top 6 sludge treatment technologies was described is available if you click here. 1 – Pyrolysls: Thermal degradation of the sludge in the absence of oxygen. This process is the most efficient in terms of producing energy, but its operation is the most challenging to achieve. 2 – Gasification: A similar process but with a controlled, reduced oxygen flow and a slightly higher temperature. This trade-off results in a cleaner gas being produced. 3 – Advanced Anaerobic Digestion: Anaerobic digestion of sludge that has been pre-treated with thermal hydrolysis. This produces a better yield of biomethane than standard anaerobic digestion. 4 – Standard Anaerobic Digestion: In a fully-mixed single stage reactor. This is the commonest type of anaerobic digestion and works similarly to a cow’s stomach, producing methane and solid digestate that can be recycled to agricultural land. 5 – Incineration: Burning sludge produces some net energy, but by far the majority of the energy produced from combustion of the sludge must be used in the process. As a result it is the least efficient as well as the least sustainable method of sludge disposal, and is therefore being phased out. 6 – Landfill: With sludge now widely seen as a resource, disposal to landfill is an option to be avoided. In addition, with sludge normally being classified as a liquid waste it is no longer permitted in the EU countries, for disposal in normal non-hazardous waste landfills. This video is based upon a WWTOnline article – click below for more information. There is also a useful infographic we created for students to use here. Original UASB process with Modifications: in which as the name suggests the raw untreated influent is introduced into the bottom of a vessel and distributed such that a close-to-laminar upward flow is created. In the upper portion of the UASB Reactor a cone shape is introduced with a geometry which creates a widening cross section as presented to the rising flow. In response to this cross sectional change the flow reduces as it rises and this presents a stable point at which a gradually descending unattached anaerobic biological sludge will sit in a reasonably stable position with the untreated flow rising upward holding the descending sludge in equilibrium. Methane gas bubbles are collected in a gas collector located above the blanket. The design usually provides a well clarified effluent which arrives at the surface and is allowed to pass from the surface over a weir and may also be clarified further, in a separate clarifier. Some variants have historically been provided with an internal packing to improve sludge blanket stability – in which case these are described as attached growth UASB processes. The Anaerobic Baffled Reactor (ABR): Not described in detail but uses the same principle and the bio-mass is not fixed but held in suspension in each of four tank reactor vessels through which the effluent passes in series with a progressively cleaner supernatant flowing upward and over a weir in each. The Anaerobic Migrating Blanket Reactor (AMBR): Developed at Stanford University in the 1980s. Sounds complicated but is similar to the ABR but with mixing only within the depth of the sludge blanket and in a manner which maintains a discrete sludge blanket and a supernatant which clarifies as it flows upward after leaving the sludge blanket, in each tank. A comprehensive review of design considerations for UASB reactors has been provided by Lettinga and Hulshoff Pol (1991). Important design considerations are (1) waste-water characteristics in terms of composition and solids ‘content, (2) volumetric organic load, (3) upflow velocity, (4) reactor volume, (5) physical features including the influent distribution system, and (6) gas collection system. Wastewater Characteristics. Wastewaters that contain substances that can adversely affect the sludge granulation, cause foaming, or cause scum formation are of concern. Wastewaters with higher concentrations of proteins and/or fats tend to create more of the above problems. The fraction of particulate versus soluble COD is important in determining the design loadings for UASB reactors as well as determining the applicability of the process. As the fraction of solids in the wastewater increases, the ability to form a dense granulated sludge decreases. At a certain solids concentration (greater than 6 g TSS/L) anaerobic digestion and anaerobic contact processes may be more appropriate. Volumetric Organic Loadings. Typical COD loadings as a function of the wastewater strength, fraction of particulate COD in the wastewater, and TSS concentrations in the effluent are summarized in Table 10—11 (see Metcalf & Eddy, Wastewater Engineering). Removal efficiencies of 90 to 95 percent for COD have been achieved at COD loadings ranging from 12 to 20 kg COD/m3-d on a variety of wastes at 30 to 35°C with UASB reactors. The ArrowBio Process is possibly the best known application of UASB technology to the anaerobic Digestion of solid waste materials. Click here for more about how ArrowBio uses UASB. Inbeediclr! This blog looks just like my old one! It’s on a completely different topic but it has pretty much the same page layout and design. Outstanding choice of colors!